For those of us who didn’t grow up on Maui, we’re sadly familiar with the weather crushing our Halloween dreams. Nothing ruins the perfect pink princess dress quicker than a down parka. Don’t even get us started on the wrecked silhouette of a superhero unitard when the rain starts falling. Superheroes don’t wear raincoats! Alas, mere mortals do need protection from the elements. 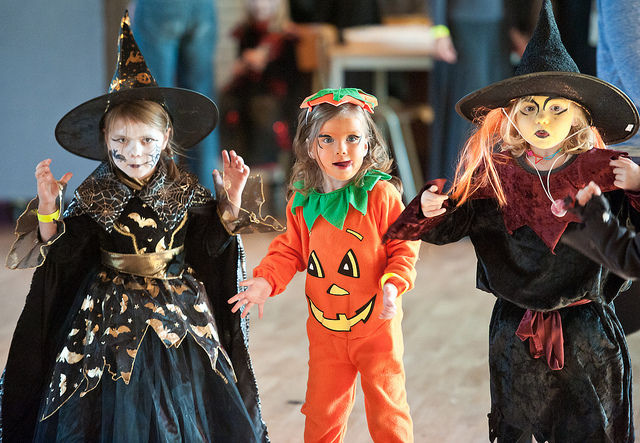 With Nikwax, parents the world over can protect children from crushed Halloween dreams. — With Frankenstorm on the East Coast and snow piling up in Sierras, Halloween 2012 is tipping toward the extreme end of the weather spectrum. If your region’s forecast is aiming blissfully to the high end of the thermometer, follow steps two to five as a contingency plan. If you’re with the rest of us, consider these steps hard and fast rules. — If s/he is going as…say…the Stay Puft Marshmallow Man, you’re golden. Toss the costume in the wash with some Down Proof and the kid is good to go. Virtually ignore steps three and four. — If s/he is has selected a costume less conducive to gale force winds, precipitation – and Ghostbusting proton packs, for that matter – continue on to step three. — Determine if waterproof and insulating layers can fit beneath the costume or must be worn as outerwear. — For cold weather gear that fits below the costume, take a moment to revel in your awesome parenting and the fact that you’ve avoided a probable sugar-induced meltdown initiated by an argument over a costume. Then, move to step four for waterproofing. — If the battle to wear warm clothes with the costume turns more frightening than a zombie apocalypse, move to step four anyway. As the parent-of-the-year that you surely are, you’ll just need to carry a big bag full of warm, waterproofed clothes for when your trick-or-treater gets chilly in between houses. — If you’re like us, chances are you’ve been out savoring the last vestiges of summer rather than prepping for inclement weather. Halloween is the ideal time to bust out all your cold weather gear and give it a refresh for winter. — Waterproof/breathable fabrics are most effective when they are clean. Nikwax Tech Wash is a gentle, high performance cleaner that is specially formulated for these technical materials. In the world’s easiest two-step process, toss the garment(s) in the wash using Tech Wash in place of detergent. After a full cycle, leave your gear in the washing machine and run a second cycle with Nikwax TX.Direct® Wash-In. TX.Direct revives the durable water repellency of outerwear. — Bonus: If your mini-goblin has designed a cardboard or paper-based costume, TX.Direct does double duty in providing water-repellency to paper. Brush on the TX.Direct and allow it to dry completely, or save time for this particular application with TX.Direct Spray-On. Step Five: Enjoy the evening! — You’ve accomplished your mission and your lovable little ghoul (or cowboy or alien) will be dry and comfortable in the foulest of weather. Nothing says, “I love you” like encouraging their creativity in costuming. And don’t be shy to remind them that nothing says, “I love you, too” like a small share of the candy. Categories: Environmental, Events, Gear Care | Tags: Frankenstorm, Halloween, Nikwax, Nikwax Tech Wash, Nikwax TX.Direct® Wash-In, Stay Puft Marshmallow Man, Waterproofing down | Permalink. Move over Colorado and Vermont. The mighty Midwest won the crown for having the first ski area to open for the 2012-13 winter season. Wild Mountain, in Taylor Falls, Minnesota, opened on Sunday, October 7th – a mere two weeks after fun-seekers were splashing down the Wild Mountain summer water slides. Not to be outdone in the “early season enthusiasm” department, Arapahoe Basin Ski Area in central Colorado fired up a chairlift on October 17th, with one-percent of the mountain open. Nikwax North American headquarters are in Seattle, also known as ground zero for the Pacific Northwest’s epic winter conditions from last season. Across the rest of North America, though, the 2011-12 winter was bleak. As we roll into crisper nights and cooler days, we’re sending out good vibes for cold, deep snow to all the mountains across North America. 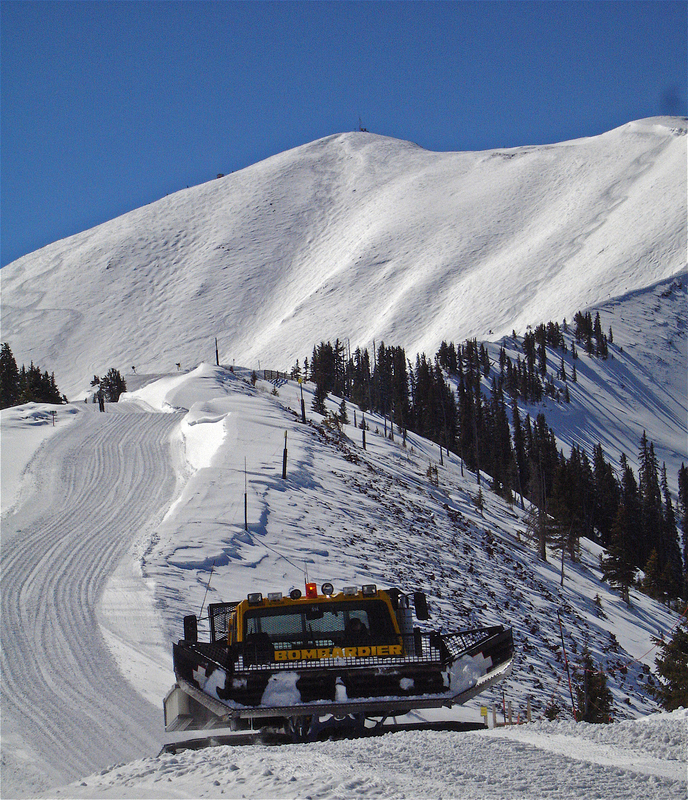 With that in mind, we’ve collected a list of ski area resources and opening dates, by region. Pull your gear out of storage and give a hit of TX.Direct® to your ski wear so you’re ready to catch that first chair. Happy hint: Early season skiing and riding can bring wet, sloppy weather. If your hands are cold, misery will follow. Take that discomfort and multiply it five-fold if your kids’ hands get cold. Help gloves perform to their peak by waterproofing with Nikwax. For leather mitts, nothing is more effective than Nikwax Waterproofing Wax for Leather™. Use Nikwax Glove Proof for fabric or fabric/leather combo gloves. Happy hands = happy day. Here’s to a cold, snow-filled winter, with Nikwax helping you to stay warm and dry! Categories: Environmental, Gear Care | Tags: Bear Mountain, Colorado skiing, Crystal Mountain, Jackson Hole Mountain Resort, Lake Tahoe, Midwest skiing, Mount Baker, Nikwax Glove Proof, Nikwax Waterproofing Wax for Leather, Opening day ski, TX Direct, Whistler | Permalink. Glen Young is another member of the Nikwax Faction Team. His non-profit organization, Direct Experience International, provides hands on learning, adventure, and travel to help his students grow. His programs take place all over the world and we would like to share his Mt. 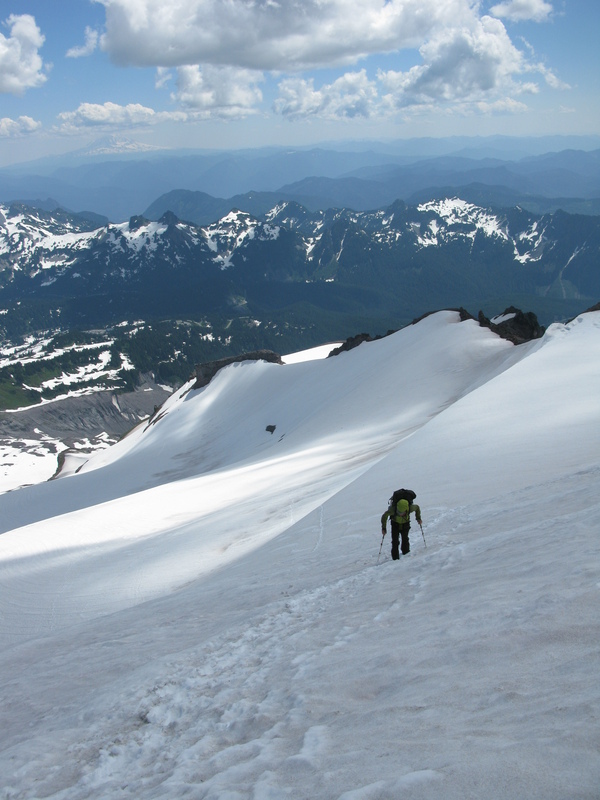 Rainier climbing experience with our readers. As has become the tradition the past three years, after finishing a month at elevation in Peru, I returned home to the United States for some high elevation escapades. And as has become the tradition since living and working around the Seattle area, I focused my adventures on Mount Rainier. I met my climbing partner Bonom at the Seattle airport after he flew-in from the Bay Area, and the two of us raided nearby grocery stores for all the items we thought we might crave on a high altitude exploit. Our decision-making was informed by an expedition we did in Nepal the year before, and it didn’t take long before we realized that carrying twenty-pounds of food per-person, per-day was a bit heavy. So, we cut-out a bunch of goodies, eyed the pile, shrugged our shoulders, and set-off for Rainier. Categories: Faction, Uncategorized | Tags: adventure, climbing, Glen Young, Mt. Rainer, Seattle, travel | Permalink. BaseFresh: Saving the World from Stink! It’s an epidemic! 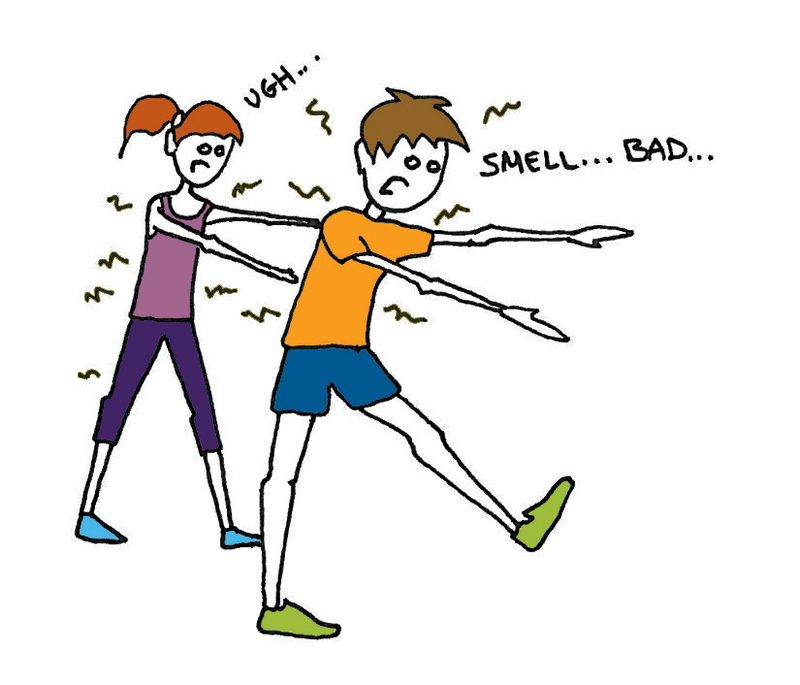 Active people around the globe are trudging shamefully around with rotten, offensive smelling athletic wear. After years of trial and error, the brilliant scientists at Nikwax came up with and effective, easy to use way to save your athletic apparel. We’re proud to introduce, BaseFresh! Say so long to having to separate your laundry! BaseFresh is an additive that you use with your regular detergent. No need to do a special load for your workout clothes. Simply add BaseFresh to your fabric softener tray when you wash any laundry load. BaseFresh improves wicking ability, drying time AND it removes that horrible odor from your base layers or athletic wear! Would you like to see the odor removing powers of BaseFresh? Watch our BaseFresh Smell Challenge here. Want to learn more about the wonders of BaseFresh? Visit our website! Categories: Uncategorized | Tags: BaseFresh, Clothing, Detergent, Fabric softener, Laundry, Laundry detergent, Nikwax, Odor, smelly clothes, Stinky clothing | Permalink. Categories: Environmental, Faction, Stories | Tags: British Columbia, Greatbear Rainforest, Norm Hann, StandUp4Greatbear, SUP | Permalink. UV exposure can, for many tent fabrics, be devastating to their performance. 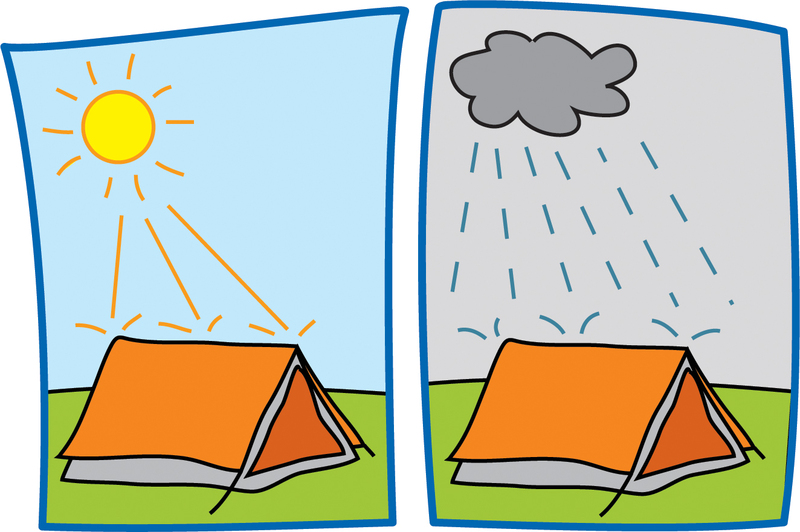 In some cases only two weeks exposure can lead to a reduction in the tear strength of the tent fabric by half. Weathering, dirt and dust can cause water to be absorbed into the fabric of the tent itself, as the Durable Water Repellency (DWR) become less effective. It is at this point that you will find water leaking through vulnerable areas such as seams. When water, dirt or dust sits on the tent fabric it reduces its breathability. When breathability is reduced, water vapor inside the tent is no longer able to pass through the fabric, and instead condenses on the inside. 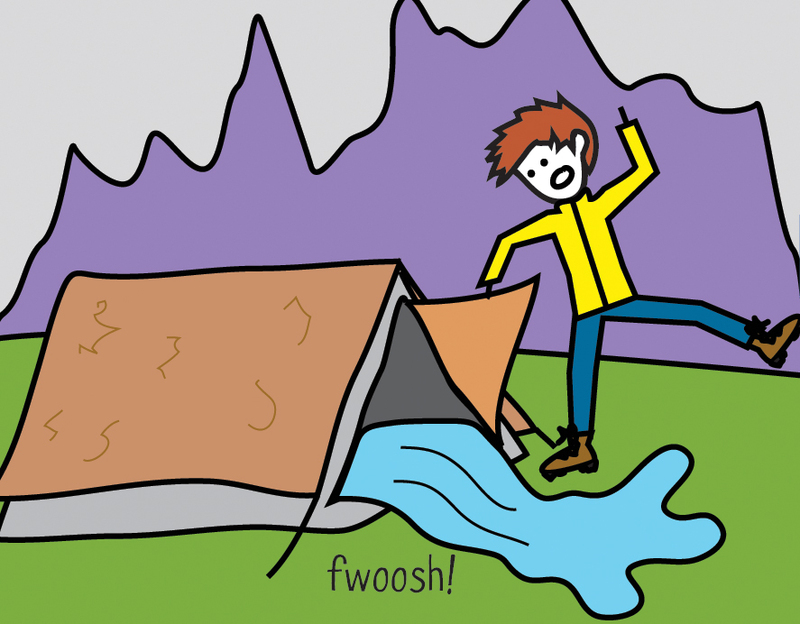 Before your camping trip, set up your tent to check its waterproof condition. This is also the perfect time to give your tent a little extra love by cleaning it with Nikwax Tech Wash. If you notice your tent is no longer repelling water, treat it with Tent & Gear SolarProof. Tent & Gear SolarProof provides superior waterproofing and doubles the useful life of fabrics by protecting against UV damage. Add Nikwax Tech Wash (100ml in 6L of water) to a bucket of water and mix until foamy. Sponge all over the tent. Rinse off thoroughly until the water runs clear. Allow to dry naturally (if not applying waterproof and UV protection). Ensure it is completely dry before packing the tent away. Ensure you have the right volume of product. As a guide, 1L of Tent & Gear SolarProof will protect approximately a large 8 person tent (70 square meters). If using the new Concentrated Tent & Gear SolarProof, dilute as per the instructions. New Nikwax Concentrated Tent & Gear Solarproof provides high performance UV and waterproof protection to double the life of your tent or gear, at a great low price per square meter. Categories: Gear Care | Tags: Camping, Outdoors, Recreation, Tent, tent care, tent waterproofing, Waterproofing | Permalink.